My name is spelled correctly in my signature block; why do so many people misspell it in the salutation? It really bothers me. My colleague started one of his emails “Happy Monday to all!! !” He must have had too much caffeine that morning. Only my good friends call me Bobby – my coworker should use “Robert” or “Bob” in the salutation. Unfortunately, the salutation on emails provides endless ways to upset your reader, as indicated by the comments above from participants in my writing seminars. And, if you offend someone in the first line, that person may not read any further. 1. Spell the recipient’s name correctly. It may not bother you, but I want to impress upon you that many people are insulted if their name is misspelled. Check for the correct spelling in the person’s signature block. Copy and paste the name to make sure you are spelling it correctly. Checking the “To:” line is also a good idea, as people’s first and/or last names are often in their addresses. 2. Don’t shorten a person’s name or use a nickname unless you know it is okay. Use the person’s full name (Hi Susan) unless you know it is okay to use the shorter version (Sue). 3. Avoid “Dear Sir/Ms." This salutation tells your reader that you have no idea who that person is. Why then should the reader be interested in what you have to say? 6. Be cautious with the use of Hey. Hey is a very informal salutation (Hey Daniel,) and generally should not be used in the workplace. Opening with Yo is definitely not okay, no matter how informal your relationship with the recipient. Use Hi or Hello instead. 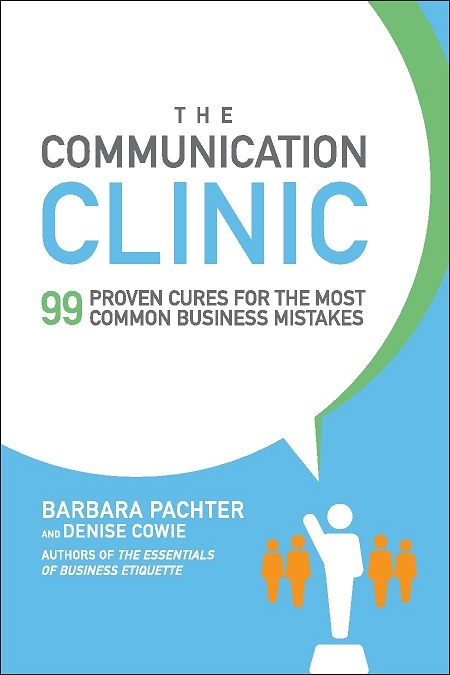 Additional information on salutations, emails and business writing can be found in The Communication Clinic: 99 Proven Cures for the Most Common Business Mistakes – available in bookstores in December. You can preorder you copy now. It was luck to land on your website blog and to find such superb stuff. 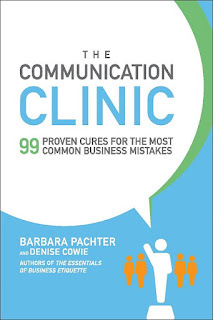 this site contains highly-researched knowledge that’s worth reading. I’m sure enough to recommend your website to my friends!